In Britain alone, several thousand young Muslims are thought to be part of violent extremist networks. How did they become involved? What are the mechanisms and dynamics through which European Muslims join al-Qaeda and groups inspired by al-Qaeda? This paper explains the processes whereby European Muslims are recruited into the Islamist militant movement. It reveals that although overt recruitment has been driven underground, prisons and other ‘places of vulnerability’ are increasingly important alternatives. It explores the recruitment roles of radical imams, gateway organisations and activists, and highlights the kinds of message that facilitate the recruitment process. It also shows how the Internet has come to play an increasingly significant role. 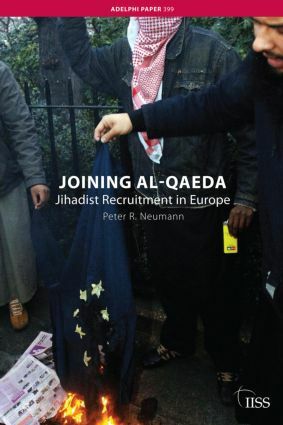 Neumann argues that there is little evidence of systematic, top-down jihadist recruitment in Europe. Rather, the activist leaders of cells increasingly drive the process. The paper explores possible options for European governments wishing to disrupt violent extremist networks, recognising that it will also be necessary to address some of the underlying risk factors that fuel jihadist recruitment. Ultimately, the major challenge for European states lies in constructing more inclusive societies in which the narratives of exclusion and grievance will not resonate to the benefit of recruiters to the extremist cause.